We recently caught up with Tamera, head wedding coordinator for Akia Weddings & Events. She told us about the great weddings she’s enjoyed putting together lately and shared some photos with us. All of the photos on this page are from one of her latest Maui beach weddings. 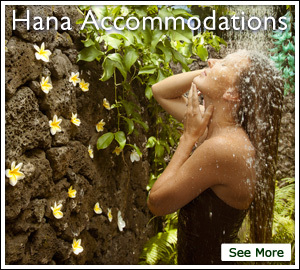 “Most brides choose to get married in the summer on Maui. The weather is usually best during this time on the South and West side of the island. One thing many couples don’t realize is that the weather is pretty consistent throughout the year in these areas. There are a million things to do when you get married, and we know that you’ve come to Maui because it’s has gorgeous locations and you want to cut down on some of the stress. This is where we see Akia Weddings help brides the most. Having a Maui wedding planner makes everything easier. And that’s what your wedding should be: easy, enjoyable, and unforgettable! Make sure you know what time the sun sets before you plan the timing of your wedding. Consult your wedding photographer for the best time to shoot post-wedding photos. Hawaii is Windy! Make sure you’ve got enough product in your hair to keep things from going awry. If you’re wearing a strapless dress, or any type of wedding dress that could possibly show tan lines, make certain that you use sunblock before your wedding. Better yet, buy a strapless bikini to be safe. This tip pertains to both large and small Maui weddings, and we mention it because it is all too often a problem. Make sure you have parking and transportation arranged for your different locations. Nothing is worse than having a group of guest late to the wedding because of insufficient parking. Your wedding planner can help you with this. Make sure the beach you choose allows you to have a wedding there. Some beaches (ex. Kaanapali Beach) do not allow any commercial wedding activity on the sand. Understand that if you’re getting married on a public beach, there may be other weddings in progress. Some beaches are more popular than others for weddings. you may want to reserve a private estate on the sand. This way there’s no guess work. When your Groom is deciding on his Maui wedding attire, keep in mind that Hawaii is hot! If you’re in the sun with a 3 piece suit, it might be a very short wedding. We hope a few of these tips were helpful. If you have more questions about your upcoming wedding, speak to your Maui Wedding Planners. They’ll start you off on the right foot and make sense of your destination wedding in Hawaii. Thank you Natalie Brown for allowing us to post your beautiful wedding photos. Cheers! We didn’t get married on Maui, but are definitely planning to go back for our 10th anniversary to renew our vows. These are some great tips to consider, not just if you’re planning a wedding, but if you wanted to have vacation portraits taken while visiting Maui as well. We did that very thing this February, with Natalie Brown as our photographer, in fact. It was an amazing experience and gave us such unique and personalized keepsakes from our trip. We highly recommend having vacation portraits taken to anyone looking for that special way to remember such wonderful memories, and if we had to do it all over again, we would chose Natalie again in a heartbeat.